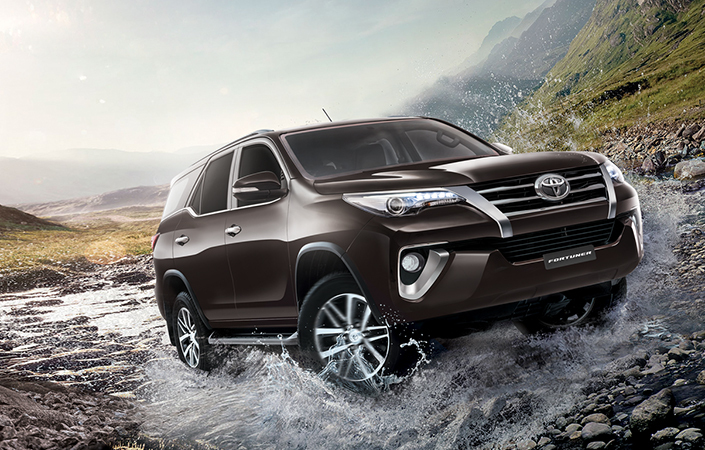 Toyota Fortuner is compatible with any surroundings. 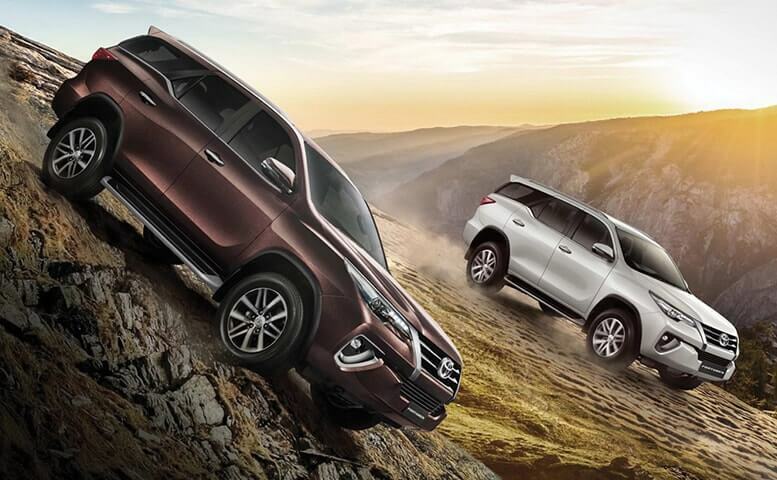 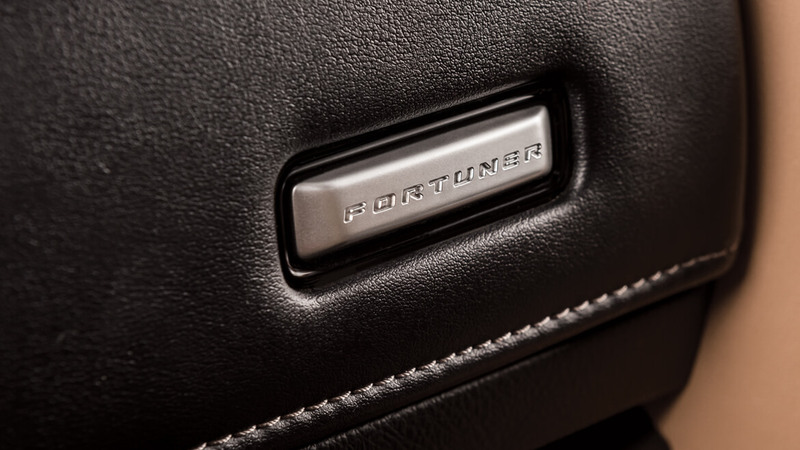 Once you get behind the wheel of a Fortuner, you anticipate the joys that await you. 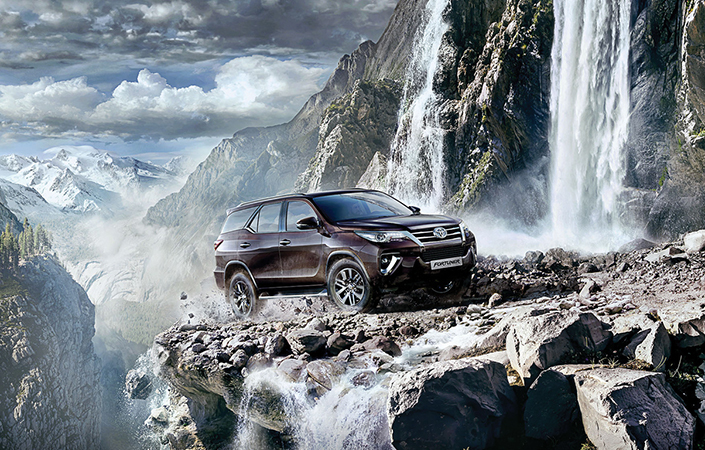 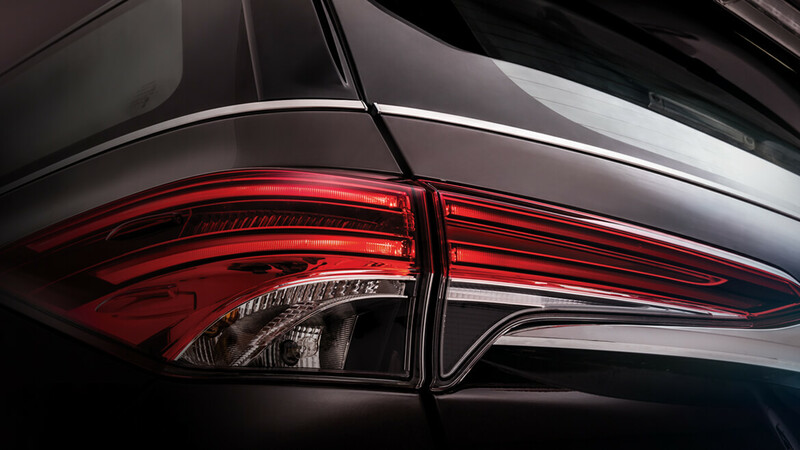 The Fortuner’s daring and dynamic style symbolize practicality and beauty, mixing advanced technology, intuitive operation, and refined options. 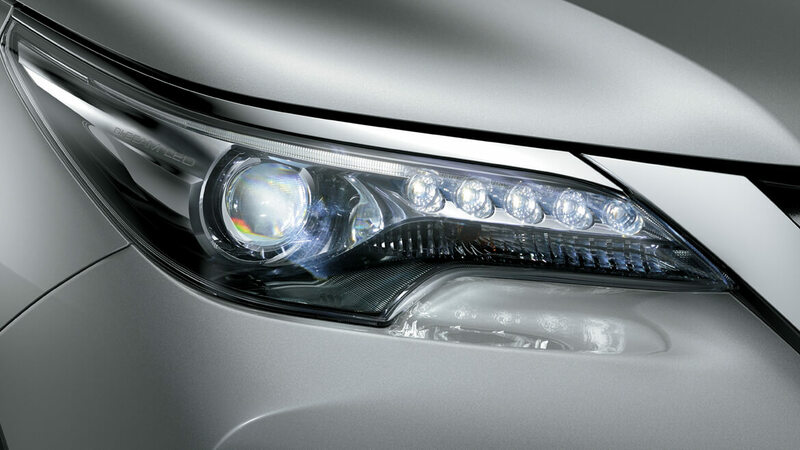 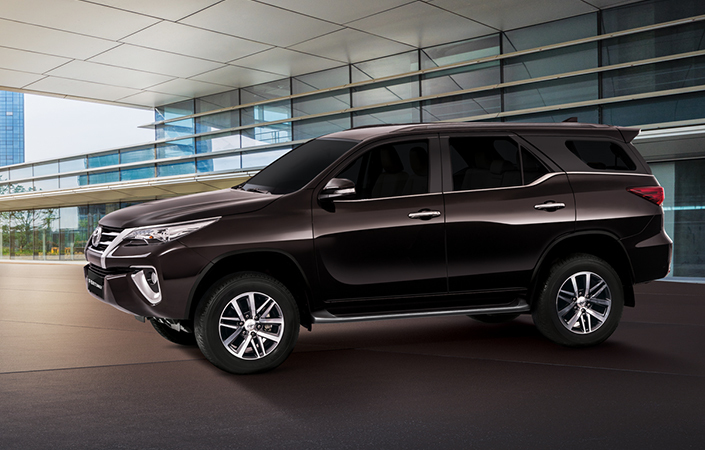 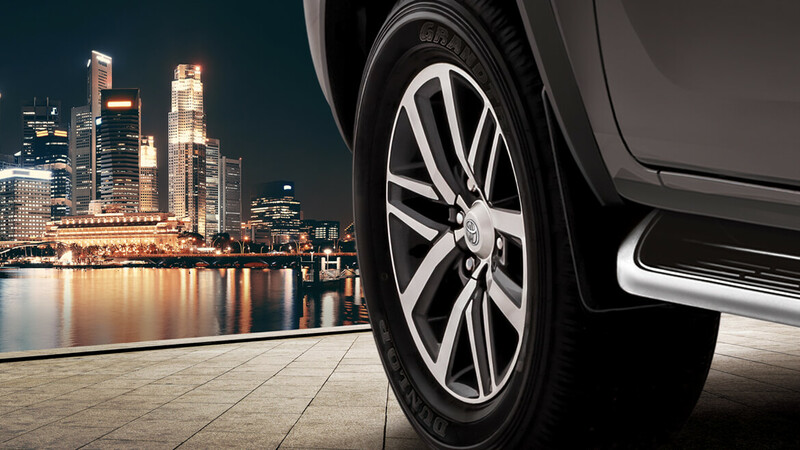 Owning Toyota Fortuner, you’re warranted with really engaging driving experience. 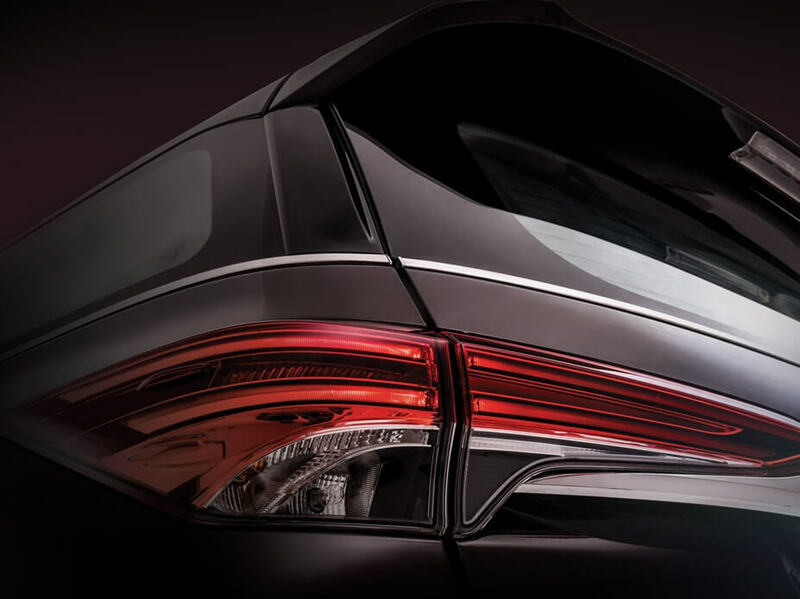 Quality details enrich the quiet ride and spacious comfort of the cabin, making a classy atmosphere for your driving pleasure. 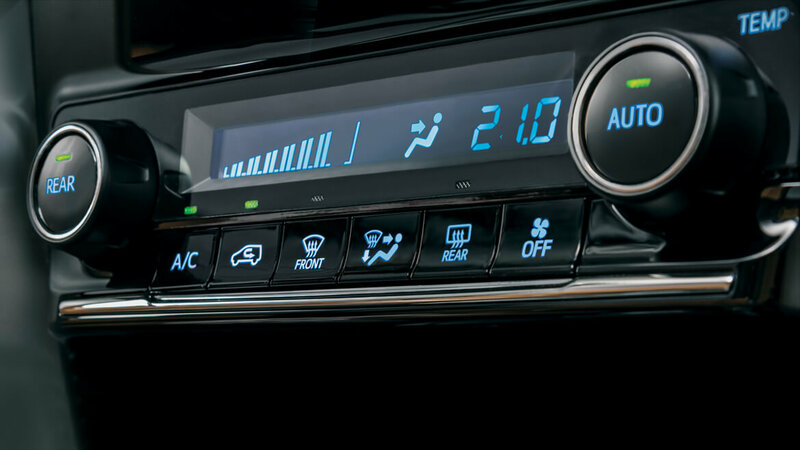 The massive touch-screen display allows simple touch operation of switches and controls. 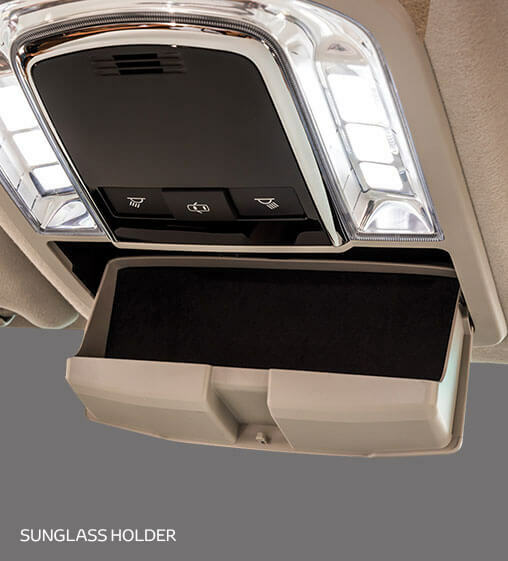 The speakers are strategically positioned to produce wonderful sound in all seats. 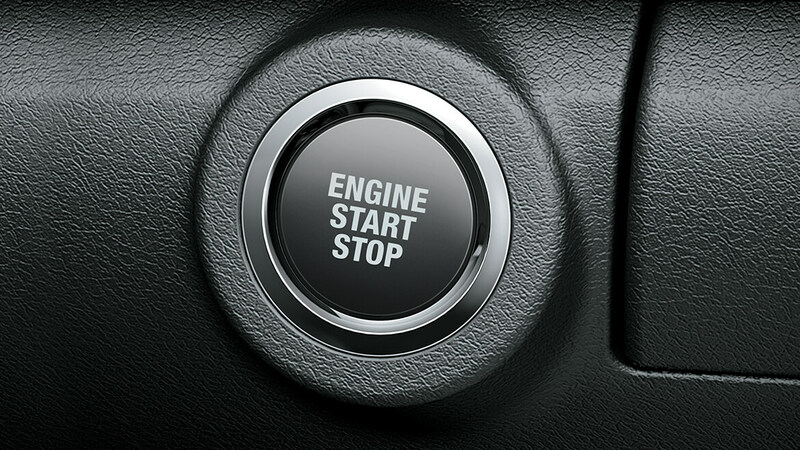 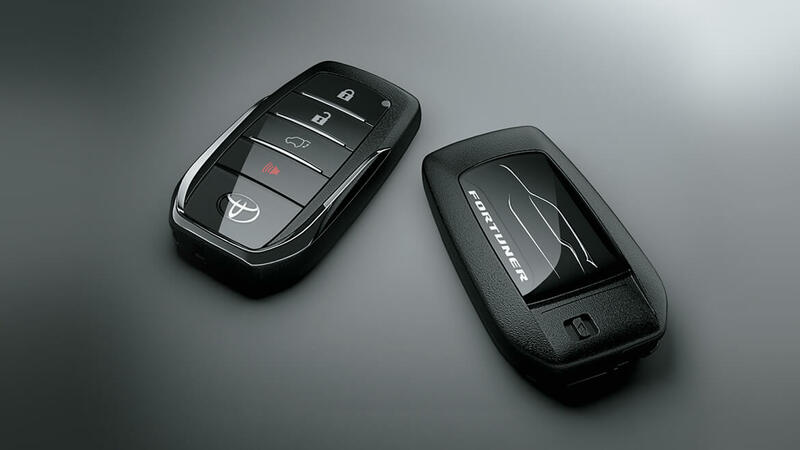 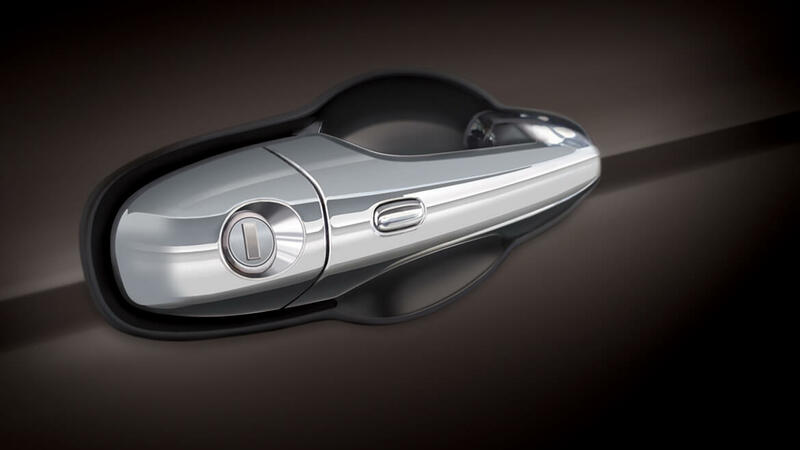 Once carrying the Electronic Key, you’ll lock/unlock the doors and start/stop the engine. 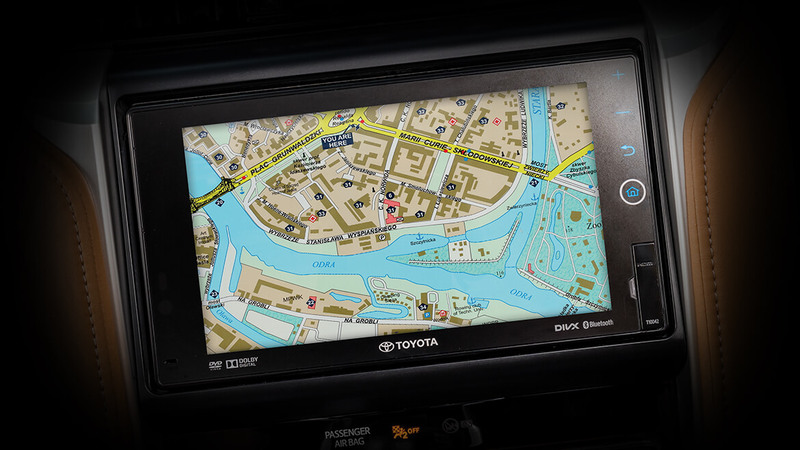 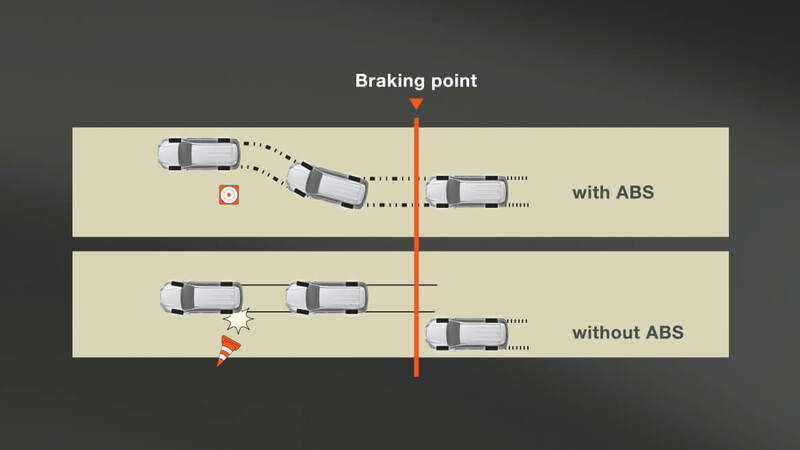 Back monitor Supporting smooth reversing operations when parking at a Right angle (90 Degree) or parallel parking, showing the rear view capture by a camera integrated into the rear of the vehicle on the display. 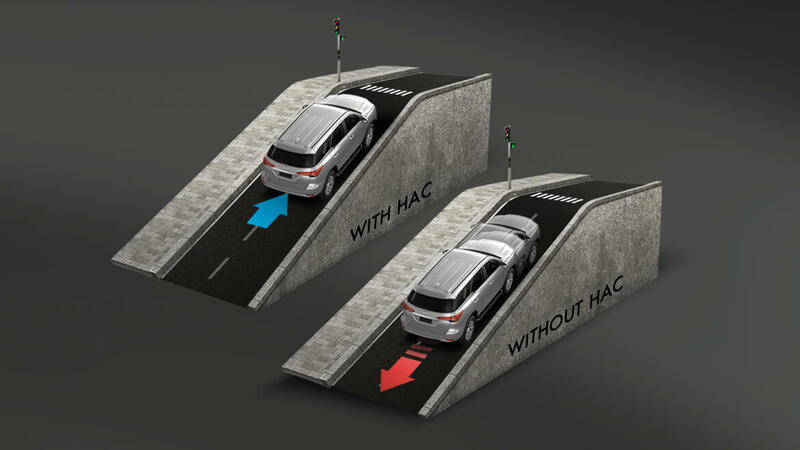 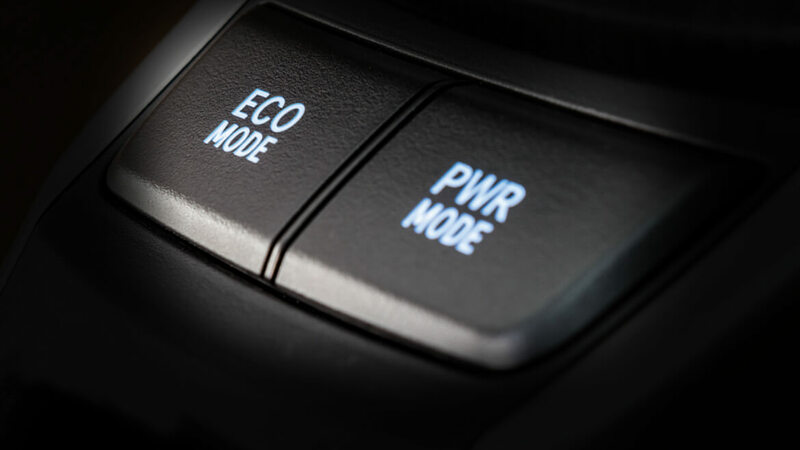 Allows you to select among Eco Mode to optimize economy and Power Mode to improve acceleration according to the driving conditions. 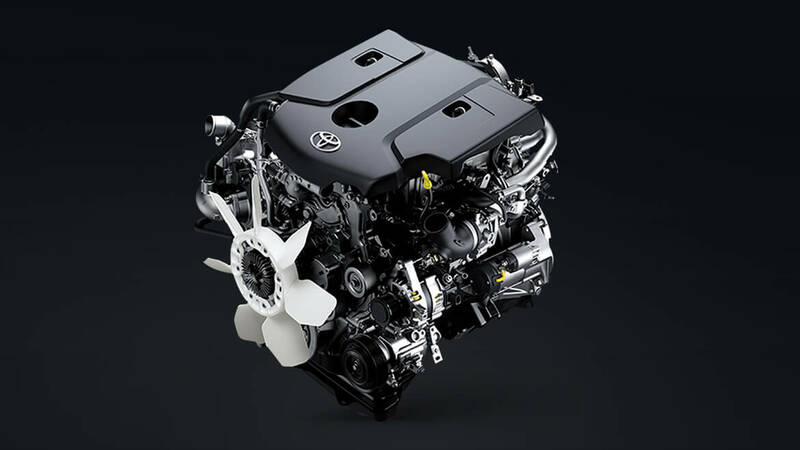 An intelligent Automatic A/C system keeps the cabin temperature comfortable, and at the same time pays to the superb fuel economy. 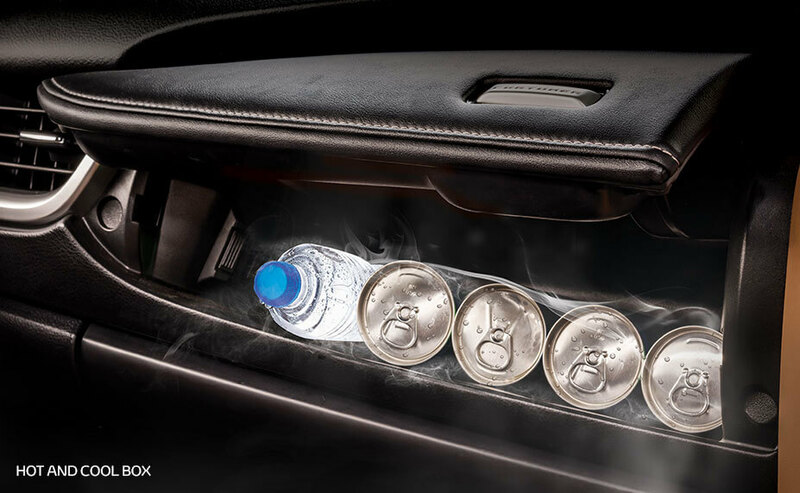 Auto Air Conditioner Vents within the ceiling above the second and third-row seats guarantee wonderful cooling. 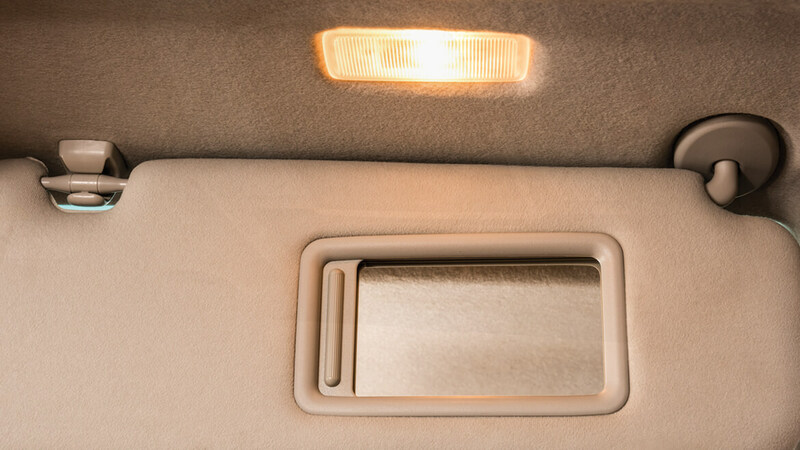 The control panel within the ceiling above the second-row seats allows convenient operation. 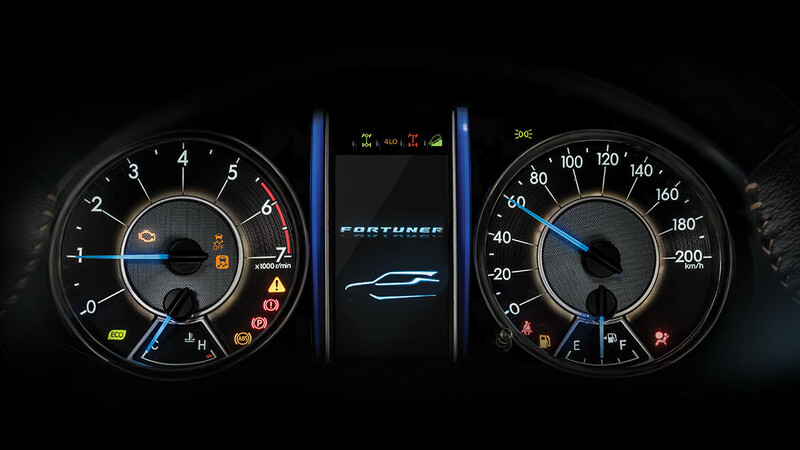 The easy-to-read display meters and a 4.2-inch color TFT (Thin Film Transistor) multi-information display(MID) provides you with very important real-time vehicle data at a glance. 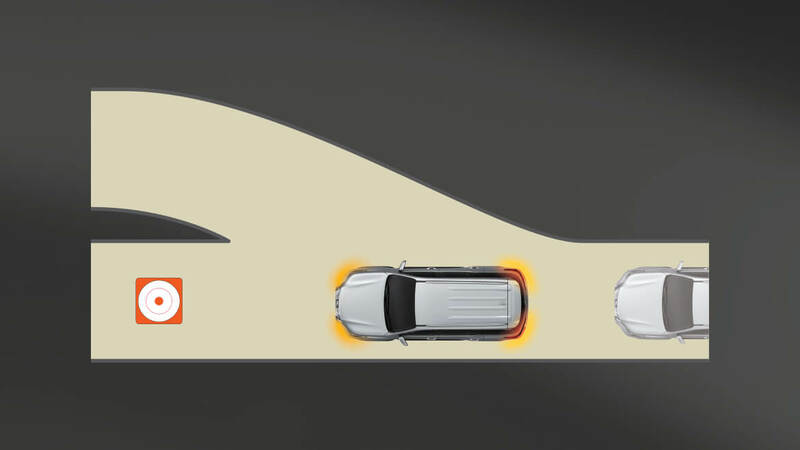 An Eco-Driving Indicator supports eco-driving. 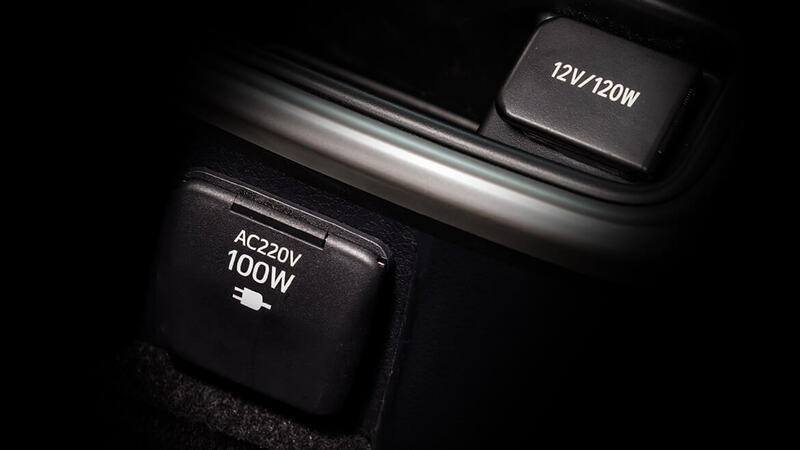 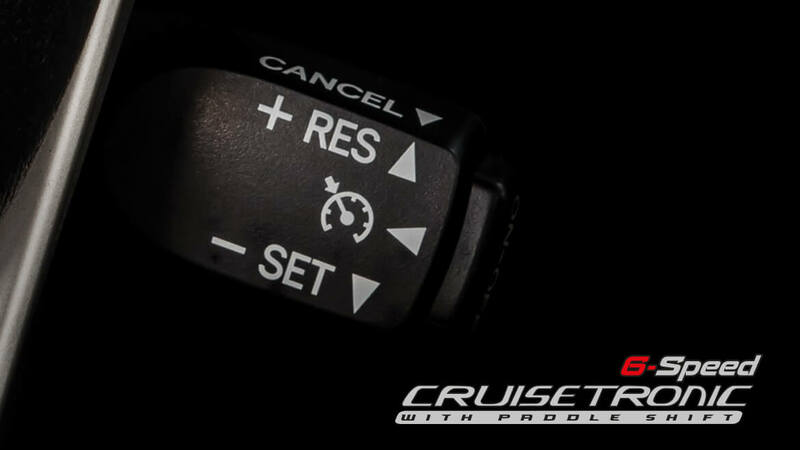 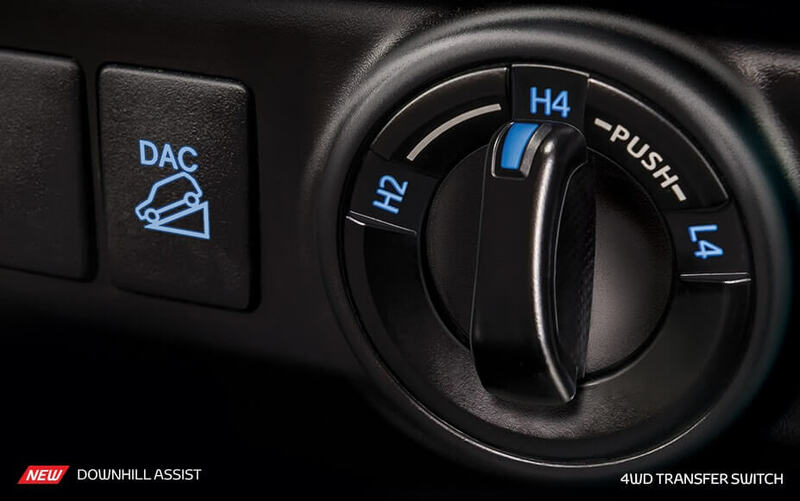 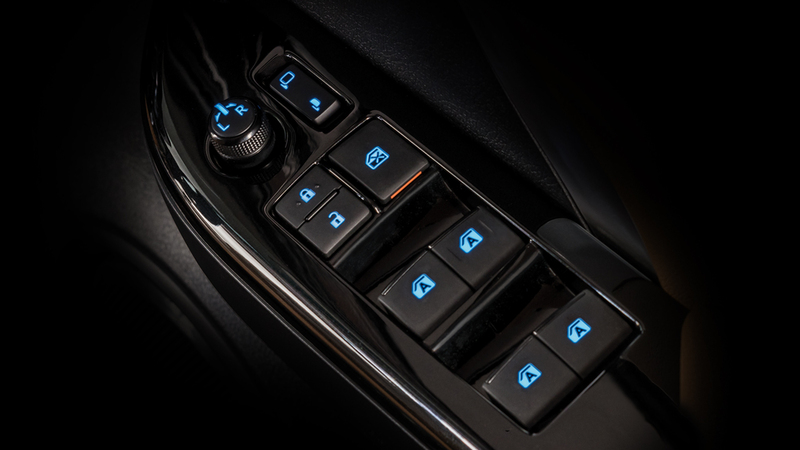 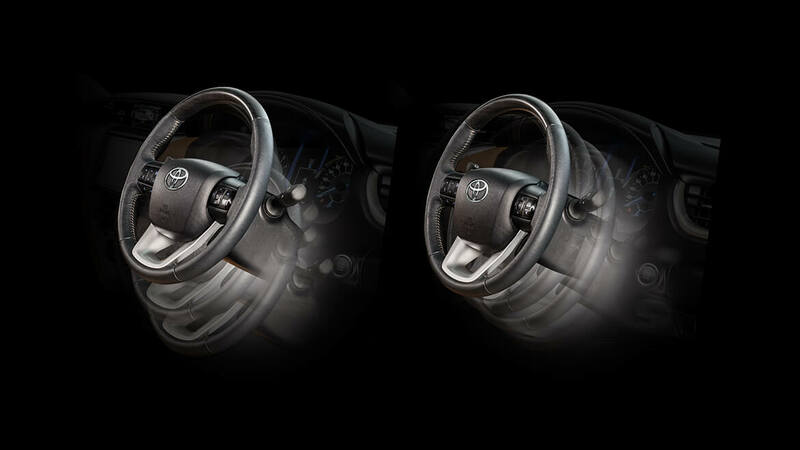 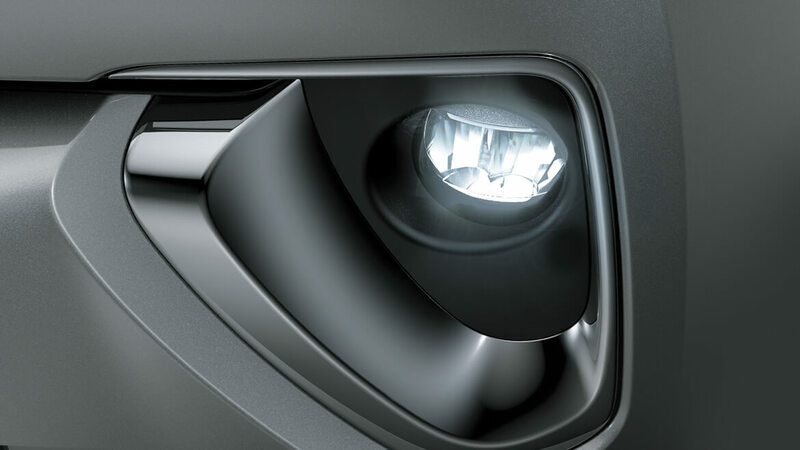 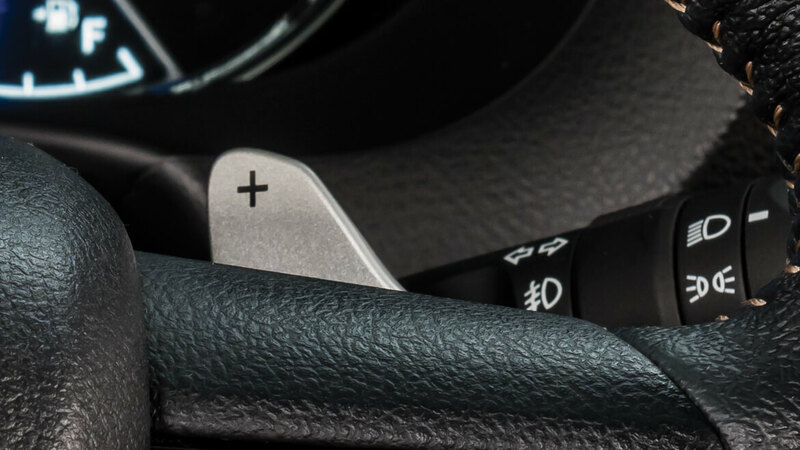 Center cluster accessible switches contribute to a relaxed and assured feeling of driving control. 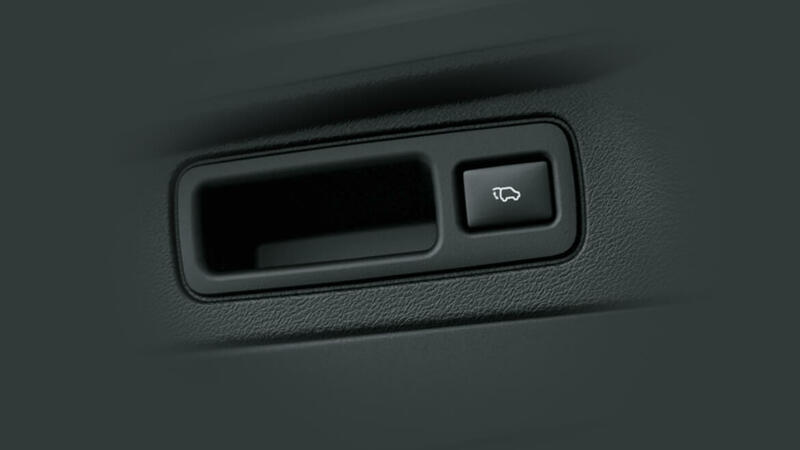 It’s very easy to access the third-row seats with simple one touch. 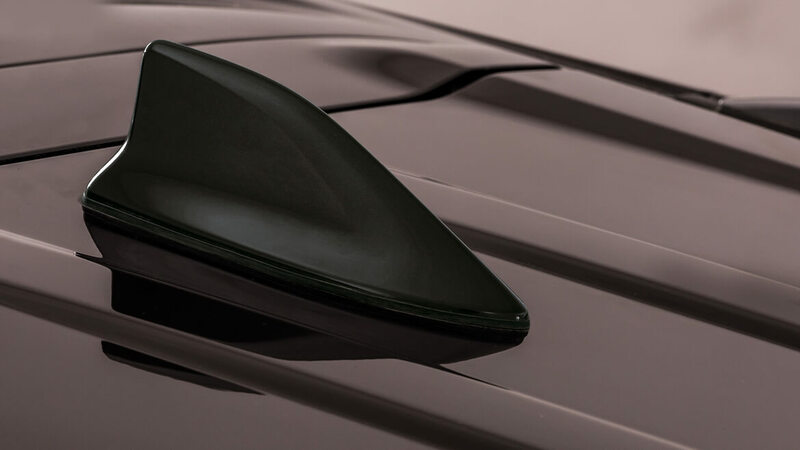 No manual intervention is required to expand the luggage space. 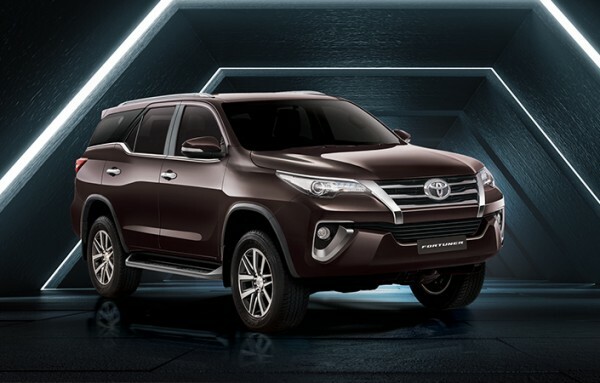 The Fortuner 2018 is equipped with advanced SRS driver airbag, SRS knee airbag (Driver’s seat) and SRS front passenger. 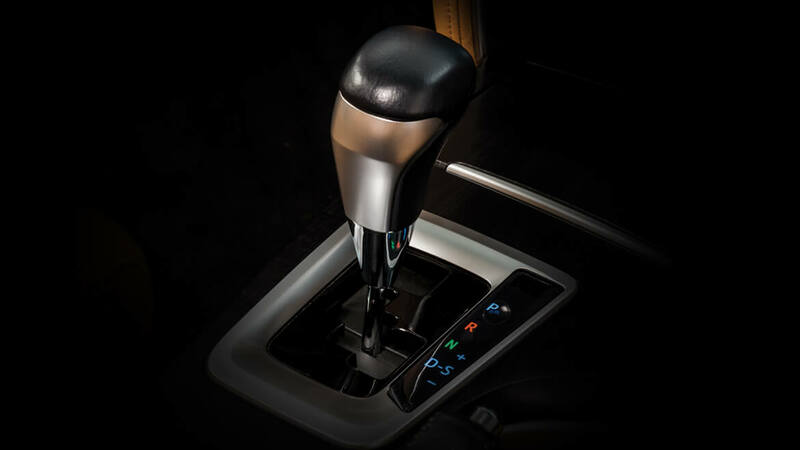 A fabulous intelligent 6-speed automatic transmission generates outstanding power adding to fuel efficiency and excellent driving performance. 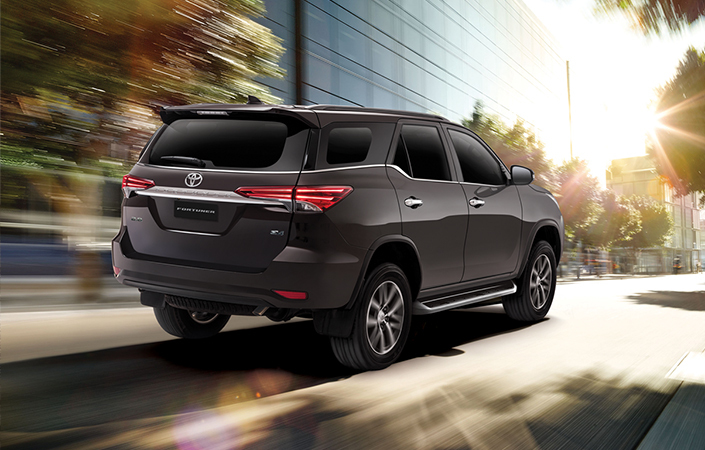 Under the sophistication, the dynamic frame and innovative off-road driving technologies form the core of the state-of-the-art rough terrain capabilities. 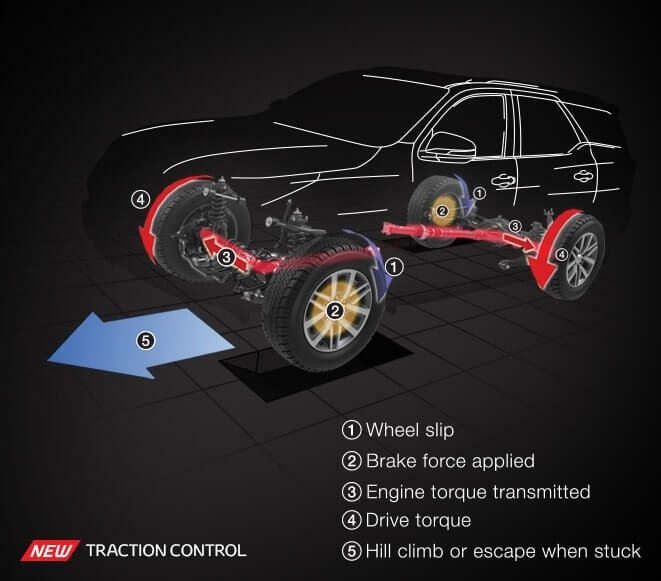 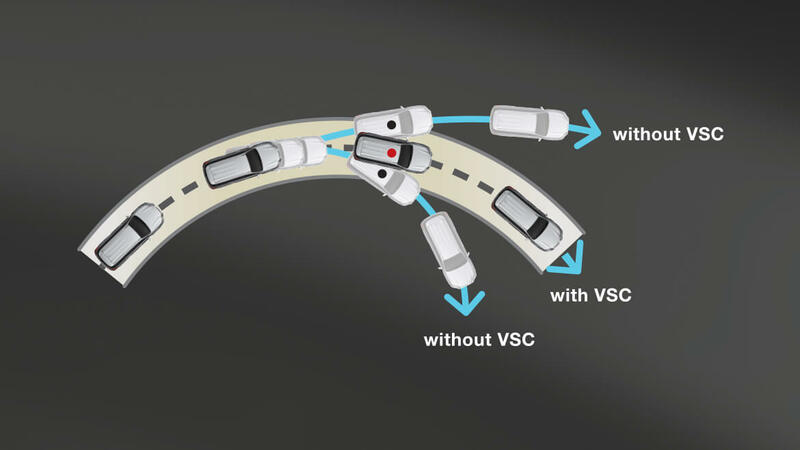 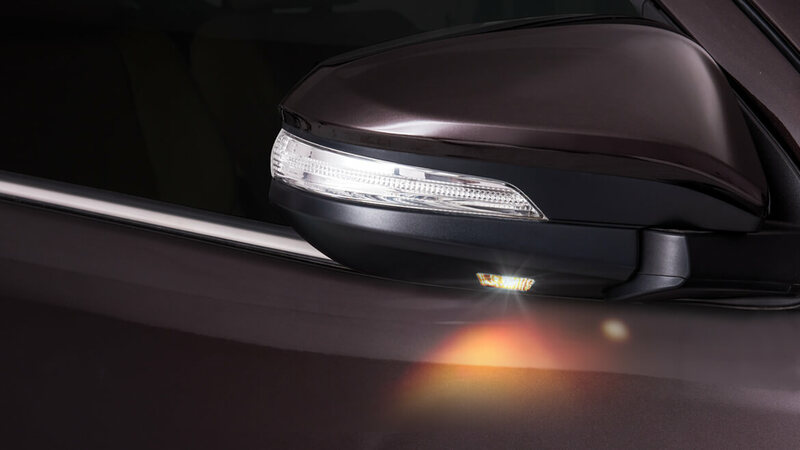 The front and rear suspension are enhanced to offer brilliant stability and control. 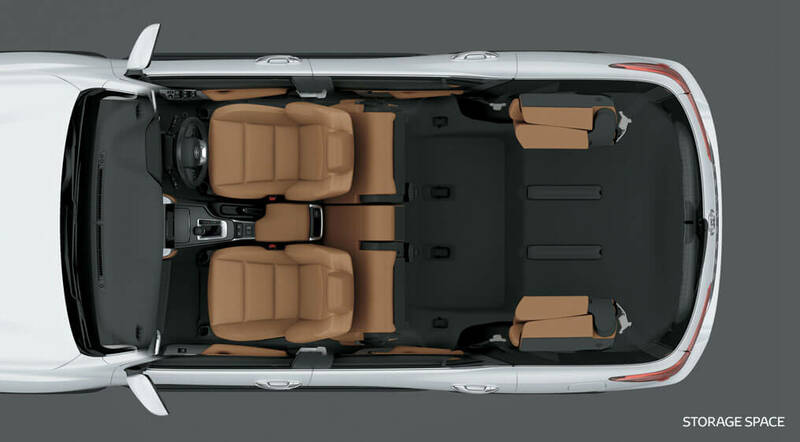 The expansive cabin can be swiftly repositioned to house changing combinations of people and gear. 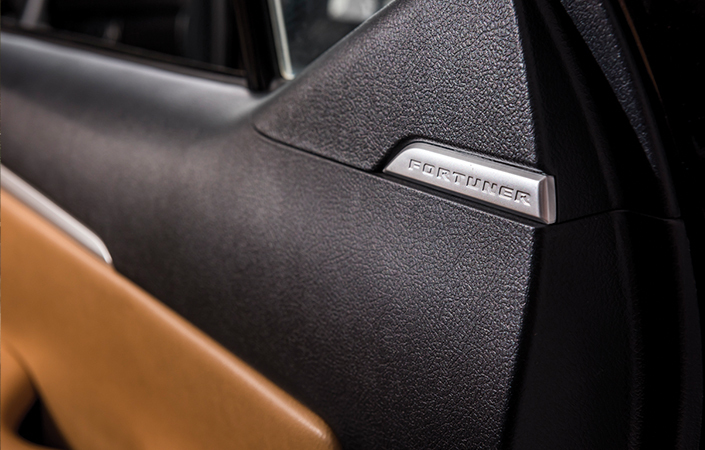 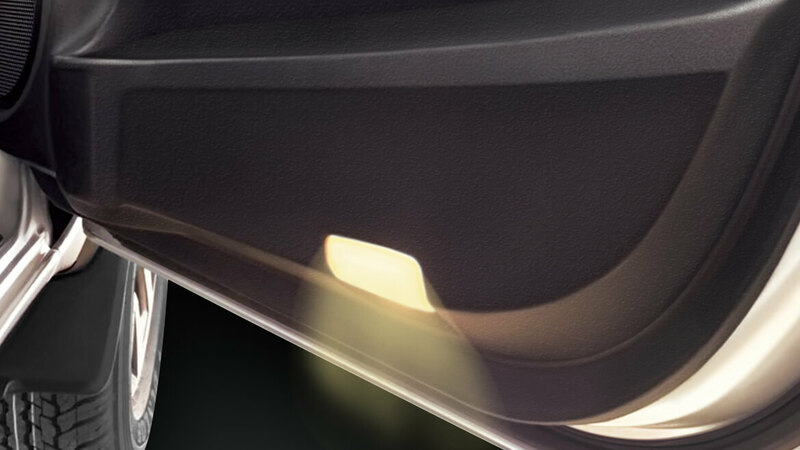 A one-touch tumble feature on the second-row seats offers easy access to the third-row seats. 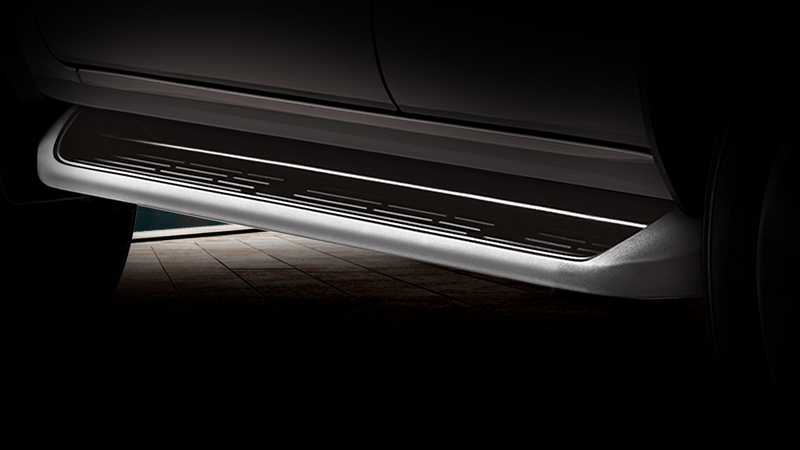 To accommodate big/long loads or to increase the luggage space the second-row seats tumble fold. 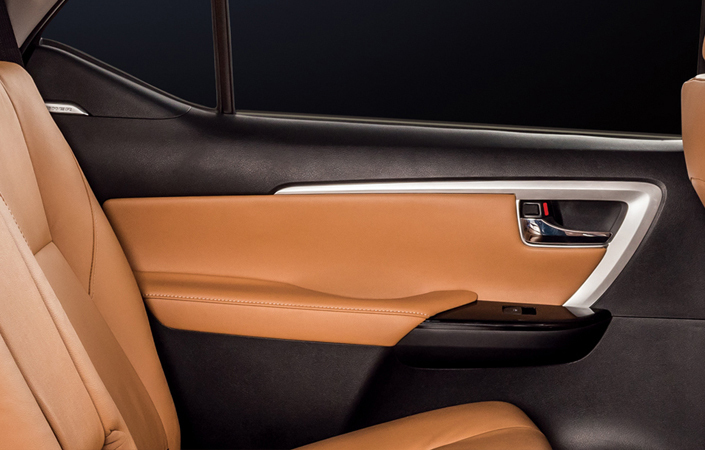 The comfortable armrest in the second-row seats is equipped with easy push-open cup holders.